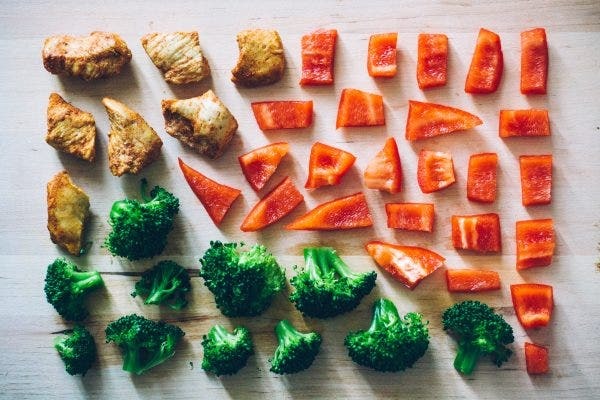 Aesthetics are as important as the food that restaurants serve. 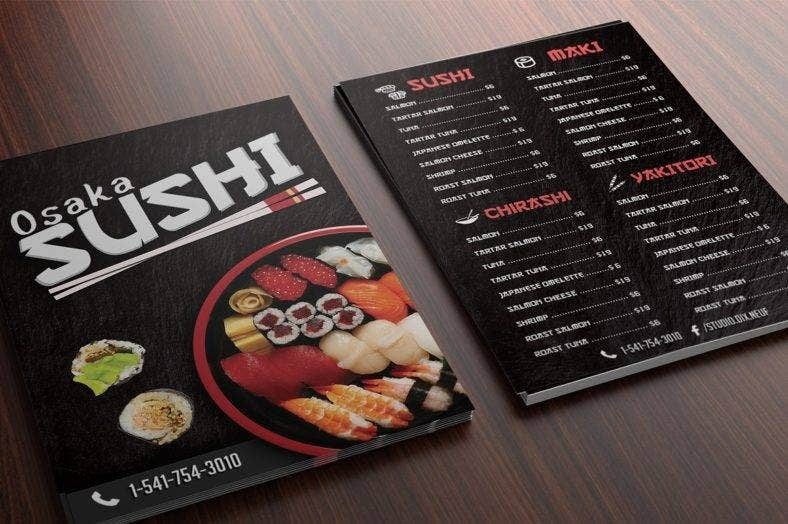 From wallpapers and picture frames to menus and flyer designs, everything should coordinate well with the theme that the owner wants to achieve. Some restaurant owners may choose a minimal design theme while others would go all out with the decor. Ultimately, your restaurant reflects your personality as its owner. 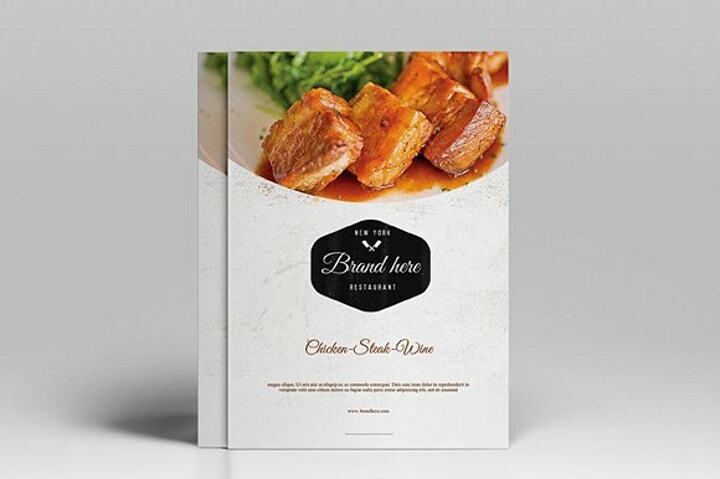 So, if you are running a restaurant and you are considering a re-design of your menu, we have prepared a list of gorgeous A4 designs that you should check out. Being classy is not about being the fanciest and most extravagant; it is about being able to show the mere simplicity of it all and still slay hard on the aesthetics. 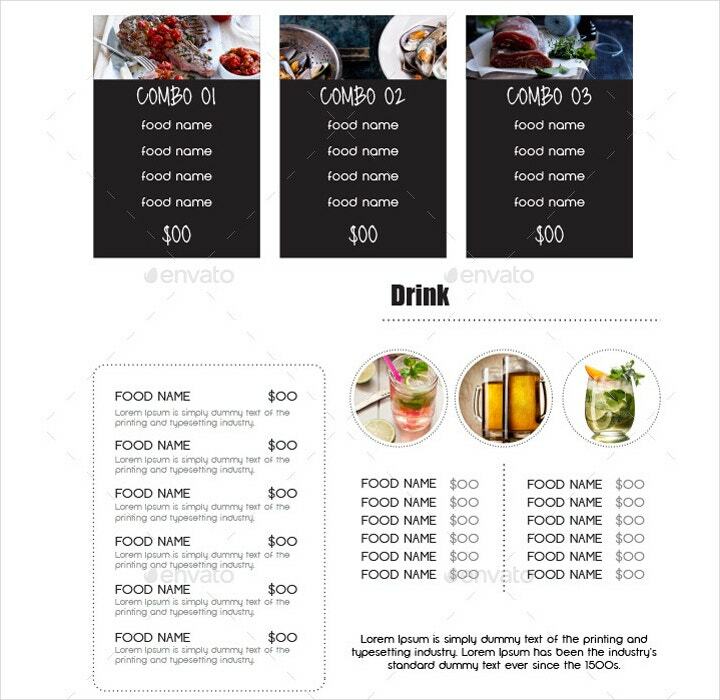 The design’s elements are enough to display the class of this restaurant menu template. The photos and details of the dishes are neatly arranged throughout the layout and the color scheme adds flavor to how the dishes are displayed. 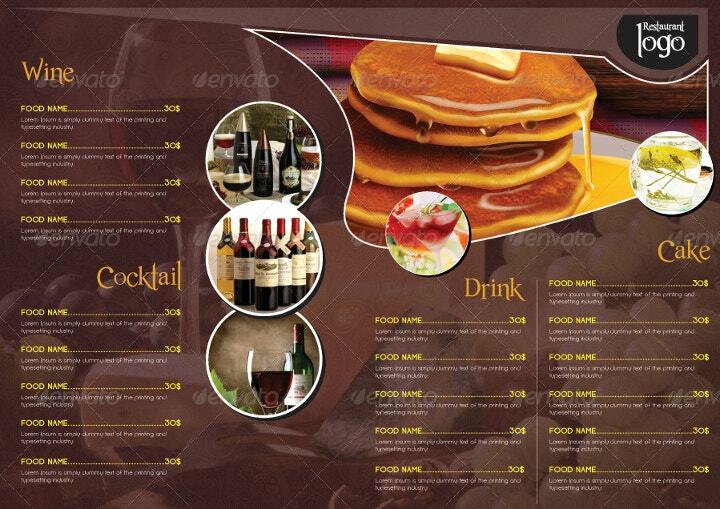 It is an aesthetically pleasing design that puts your restaurant on the list of having the most classy menu template. The great thing tri-fold menus are the surprise that is waiting inside its folds. That is why choosing the perfect design is critical. You do not want to disappoint your customers by surprising them with a mediocre design, right? This template’s design is as elegant as anything out there. The design mostly uses a classic black and white theme, but if you want to add your personal touch, you can do so as this template is fully editable. Vintage does not always have to be associated with sepia-toned, rusty-looking designs. Sometimes, it only means having the simplest of designs used in the past—and this design clearly has that. The design elements used are at a bare minimum, using stylish font styles and simple icons to enhance the overall appeal. At first glance, you might think that the images were sketched. We hate to break it to you, but they are not sketches. They may just be print-outs, but the designs give off an impression that they were hand-drawn. It is an artsy design that is perfect for a restaurant with an artistic theme. So, if you think your restaurant has an artistic type of feel, then try this one out. This somewhat feels like a cyberpunk-themed template. The font style used for the text resembles binary code and, when partnered with the background, looks like countless lines of code running down a computer screen. The black and blue combination fits well with the theme. 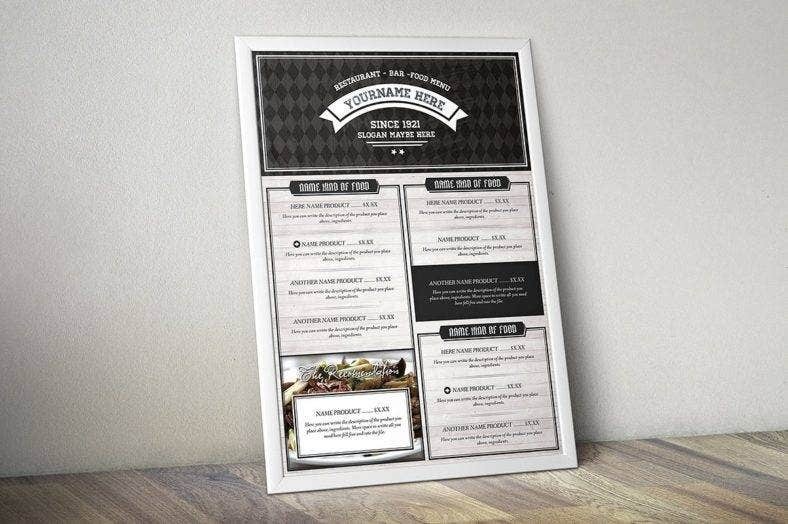 If you are going to take your customers on a trip to the future, this vintage menu design would be a perfect choice. We know, the cover page does not look colorful at all, but this is merely an introduction. What is colorful in this template is the content inside the folds, so you better check it out after reading this. If you are looking for a design with an array of every possible color out there, then you should stop right now because this is not going to fulfill your rainbow-colored dreams. The only thing that is colorful in this design is the variety of dark background colors used in some of the elements. However, you do not have to be disappointed. This template bestows upon you the power to change the properties of the elements used in the design. Change the colors to whatever you want. Fulfill your fantasy full of rainbows and unicorns. It is all possible with just a few clicks using the magical photo-design software at your disposal. If you fancy this layout, use it so it will get the recognition it deserves. When you think of Paris, you think of classic, elegant font, and sophisticated looks. Well, search no further as this template delivers all of these things and more. The geometrical shapes carefully placed around the layout resembles fireworks as if celebrating the magnificence of your restaurant’s mouthwatering dishes. The ticket-shaped background for the title, meanwhile, is reminiscent of a film or movie. Content and design can thrive separately. For example, content can work without design and vice versa. But when they partner up with each other, they can create magic. This template excellently interweaves content and design, which results in an awesome template. The layout for the details of the dishes is arranged well enough to leave sufficient space between each other. The font styles are simple, but complement the design of the layout perfectly. 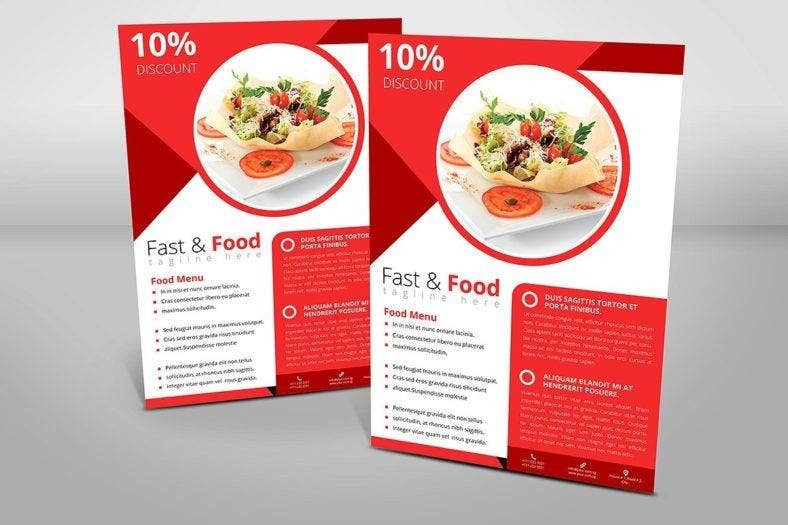 You may also see Restaurant Flyer Template. 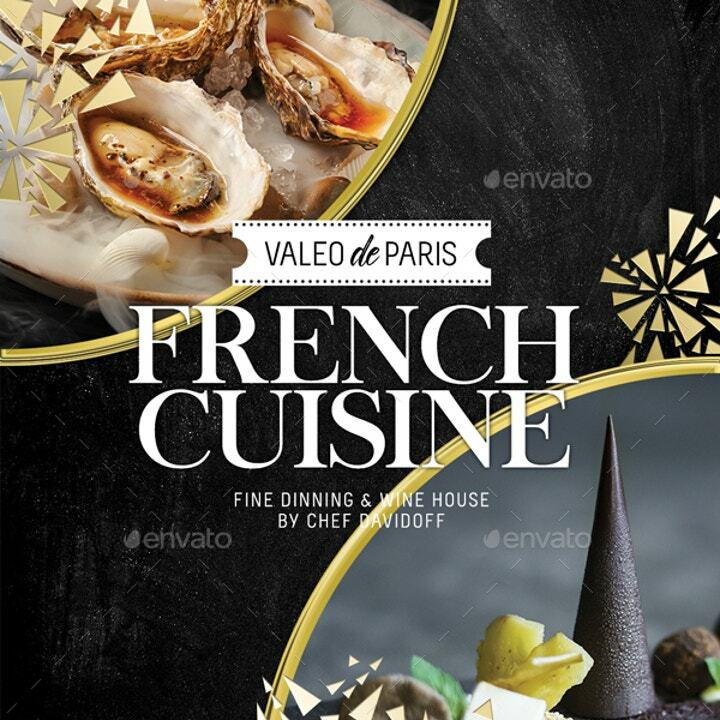 The cover for this restaurant template looks like a map leading to a treasure cove full of food. The minimalist theme gives more emphasis to the dishes and their details. 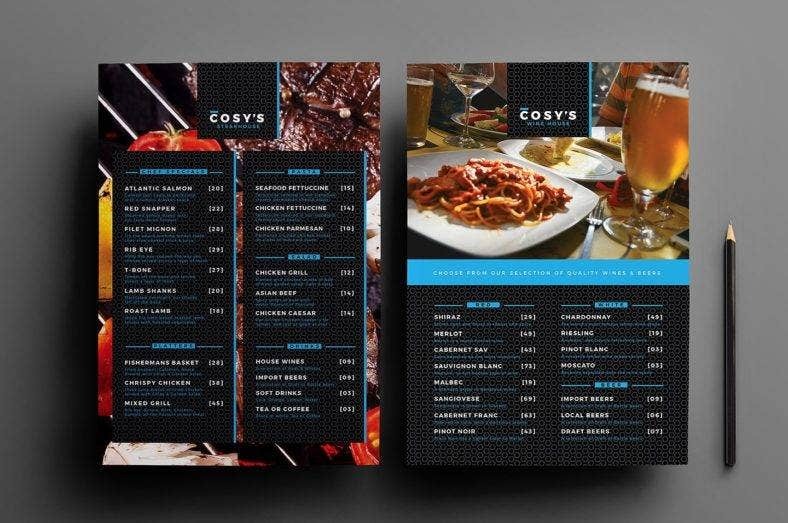 Inside the menu, a black and white color scheme dominates the layout. 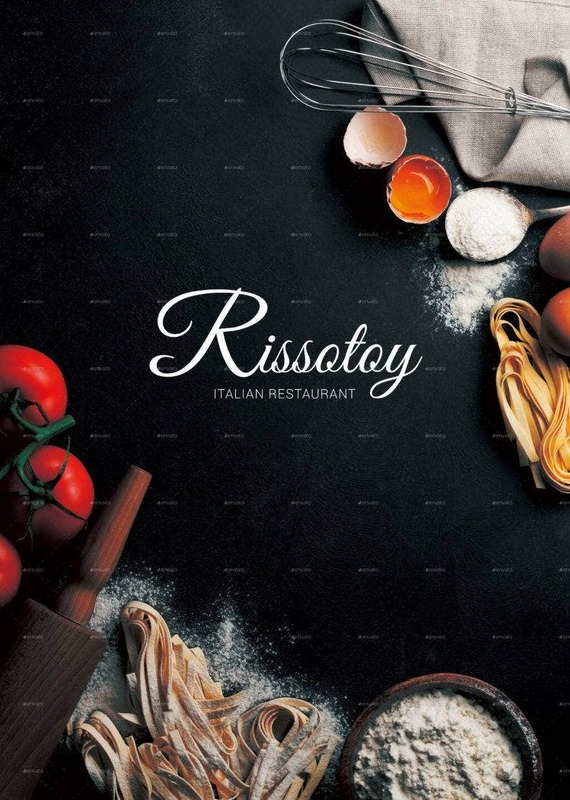 What is great about this menu is that space is provided for the history of your restaurant. It informs your customers of your roots and how your restaurant has progressed since its beginning. Images are placed well together with their details. There are also parts where the images are filled by a geometrical shape, giving it a different design adding to the appeal of the template. The font style used in this template has an Asian theme. Well, this is a sushi restaurant anyway. 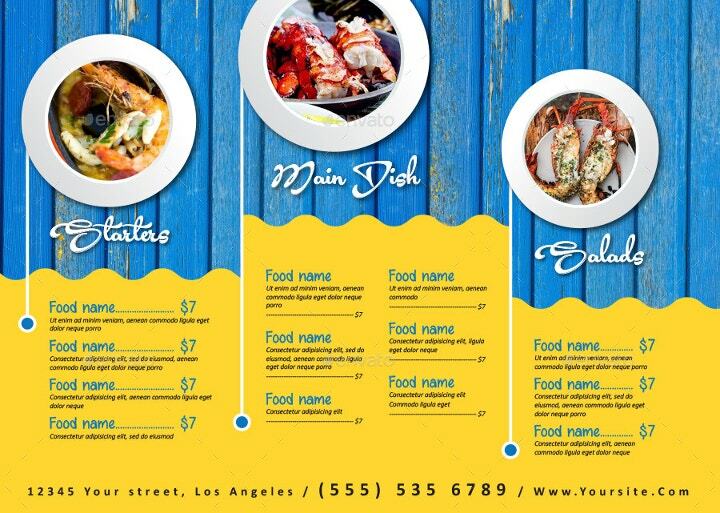 The details for the menu are laid out well and are really simple. The sushi theme presents the simplicity of the Japanese culture. So, look this one up and see if it is to your liking. Flyers are used to present brief but informative content. The design must be captivating enough for the customers to take interest in it. Otherwise, a flyer loses its purpose. 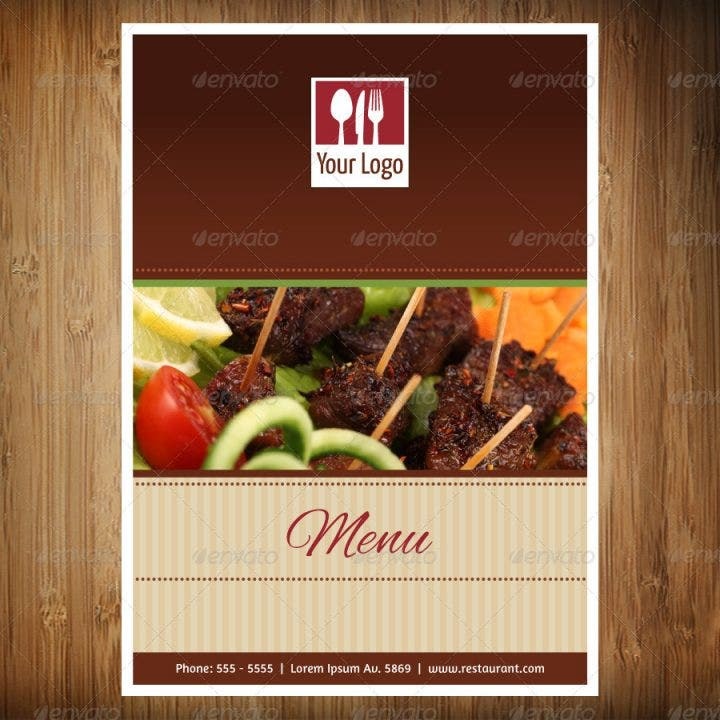 This template has a modern design with enough space to feature details that will inform customers of dishes available in your restaurant. Space is also provided if you have discounts for your dishes. The color scheme and wood-themed background for this template match the ambiance of a steakhouse restaurant. The various font styles used for the text are enough to spice things up for the design. 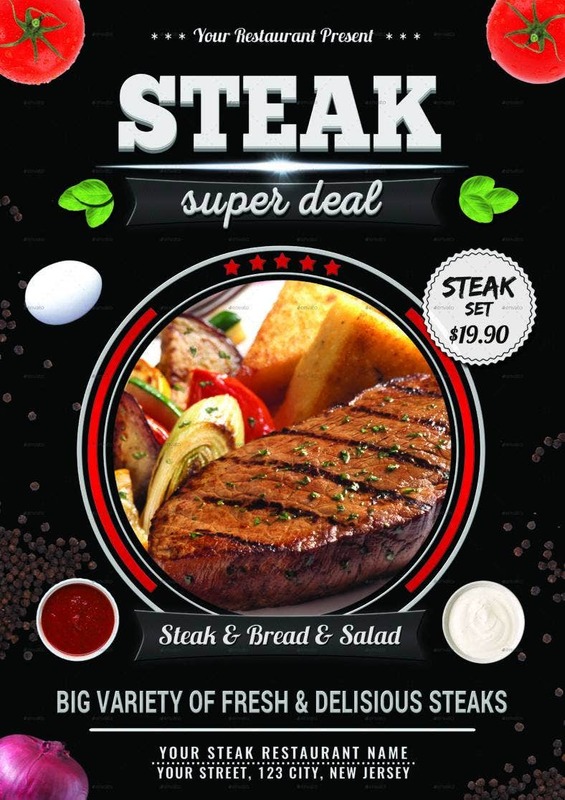 The prices for your dishes are aptly positioned beside the image of the dish and laid over red circles so they will catch the attention of customers. 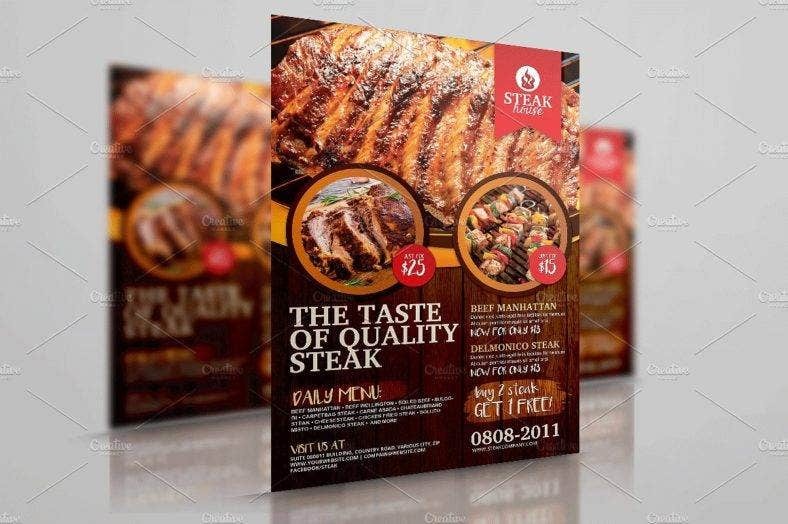 You know how important it is for customers to notice the price because that is what they look at first when they skim through flyer templates or menus. This template will give you confidence that attracting customers will not be much of a problem. Putting up a fast food restaurant? This template will help you attract customers with ease. Red is always eye-catching, so it is only appropriate to use it as the color scheme for your abstract flyers. Slogans or catchphrases are important because a good one can leave a lasting impression on the minds of your customers. That is why a large space is dedicated to it to ensure that your customers can read it. This fully customizable theme might be the best template for you. Go and give it a try! When your restaurant serves pizza, there is no better icon to use than a roller pin for the flyer. And, of course, half of the size of the flyer is given to the image of the pizza itself in all its glory. So, give your pizza the best exposure that it can get with this template. 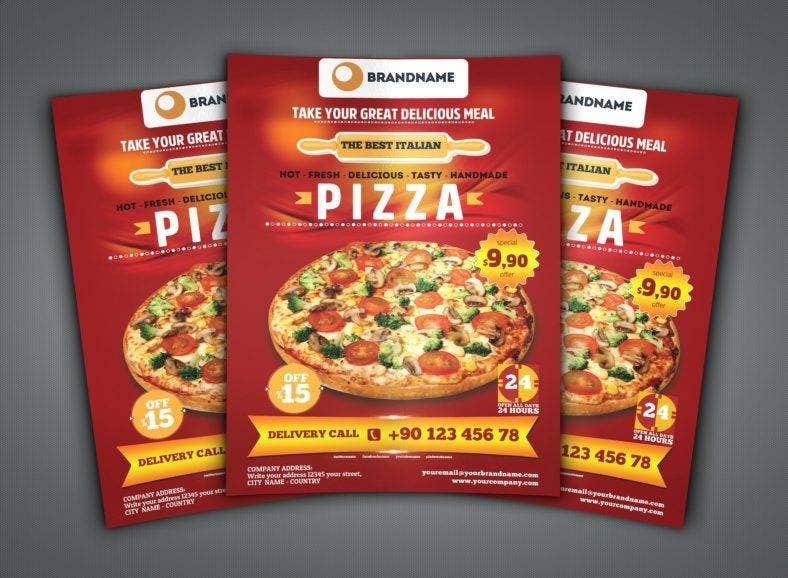 You may also see Pizza Menu Template. It is important to highlight your dish, but it is more important to give justice to the dish by choosing an appropriate design for it. The black background gives your dish the proper exposure and the designs add color to it. 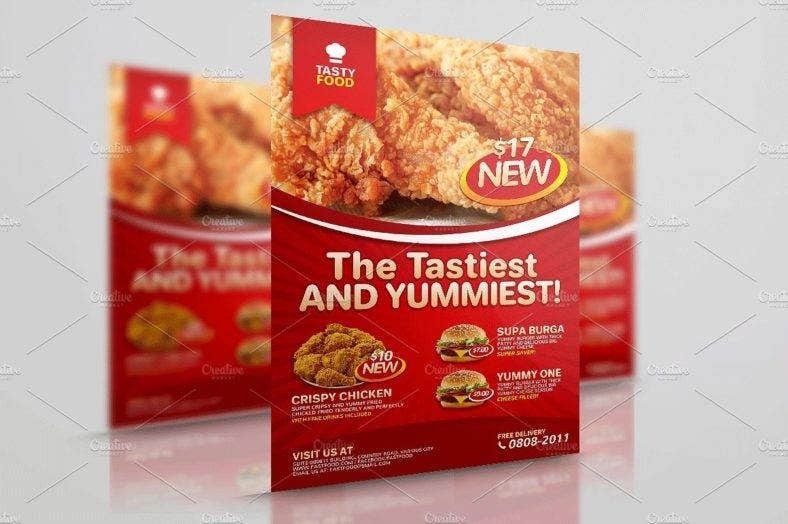 Use this template and it will help you create the most attention-grabbing flyers. 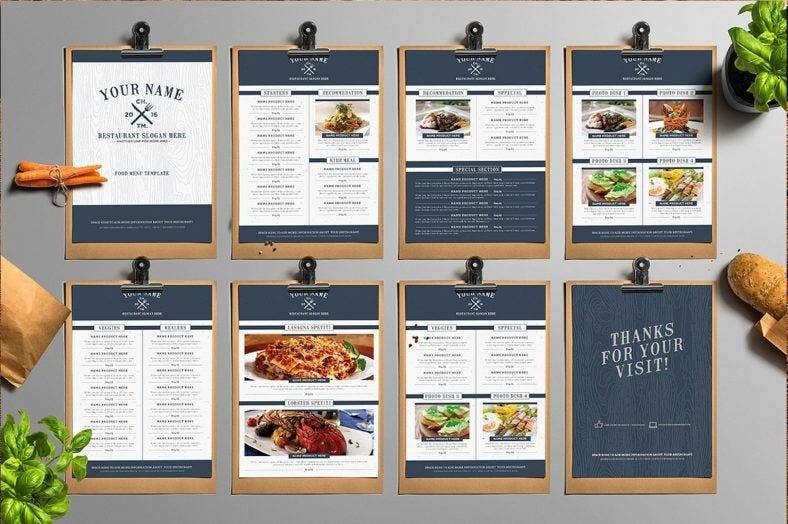 Choosing a template for your restaurant will not take that much time if you have already decided what your restaurant’s theme is going to be. But, in case you have not thought of something yet, you can view these templates and pick out your favorite. 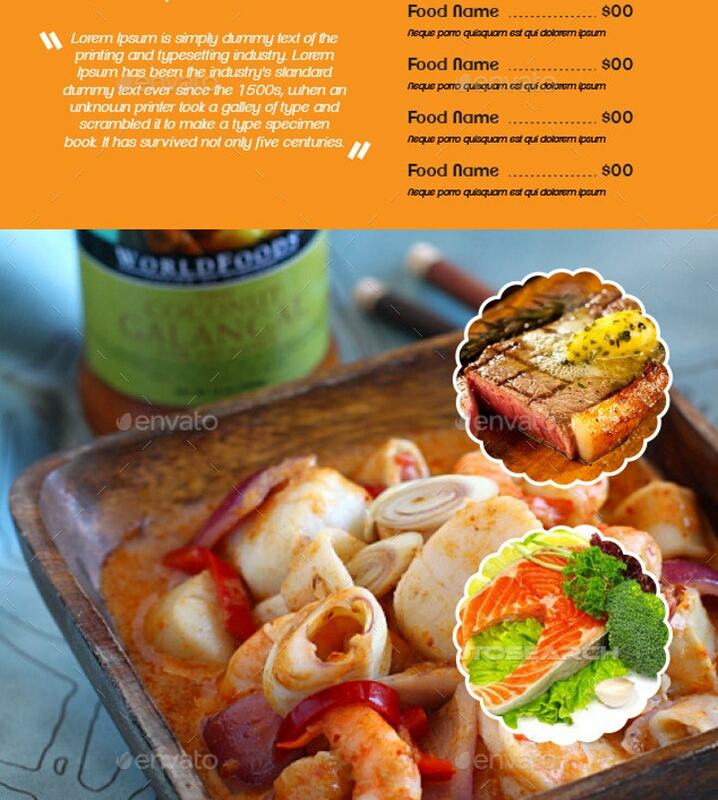 So, good luck and have fun designing your restaurant menu!